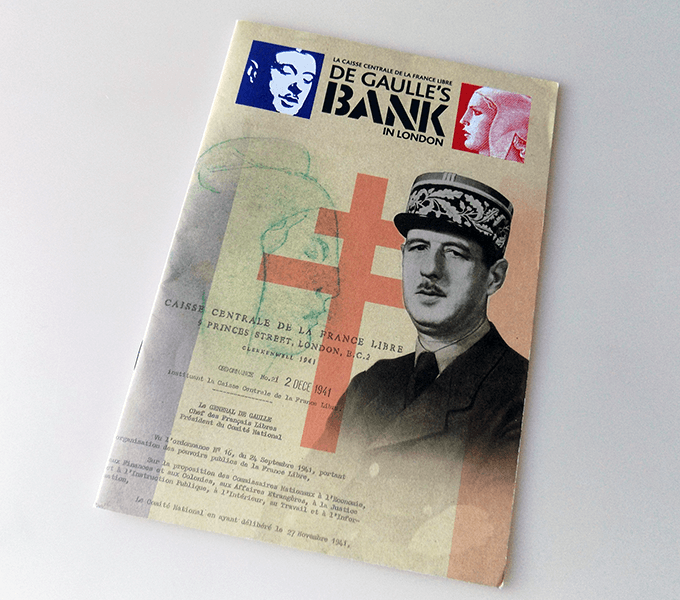 In December 1941 the Caisse Central de la France Libre was established in London to manage the funds of the overseas activities of de Gaulle's Free French movement. After the war the CCFL evolved into The French Development Agency AFD. 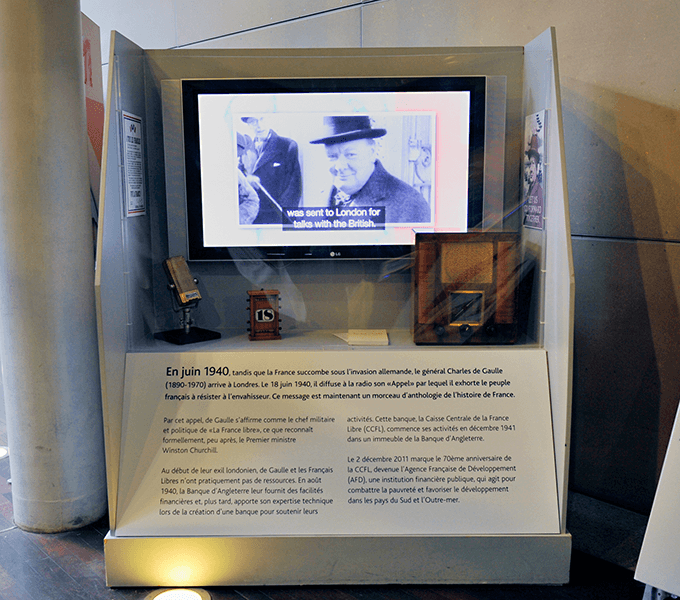 For the celebration of their 70th Anniversary we designed a booklet and temporary exhibition, first at the Bank of England Museum then travelling to their HQ in Paris, with smaller displays travelling to French territories around the world. The exhibition contained material from the Bank of England and Banque de France, as well as loans from the BBC and Institute Francais. 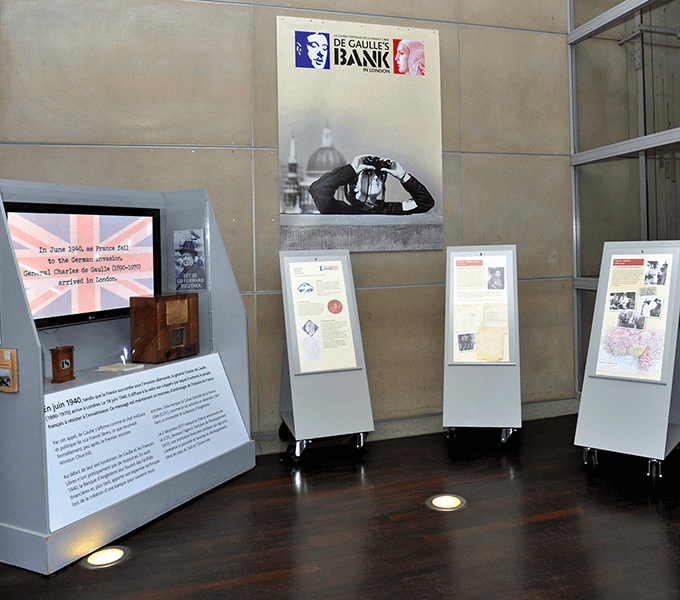 Caisse Central de la France Libre: De Gaulle’s Bank in London, the original exhibition at the Bank of England, began the anniversary celebrations, with a launch attended by the Governors of Banque de France and Bank of England. 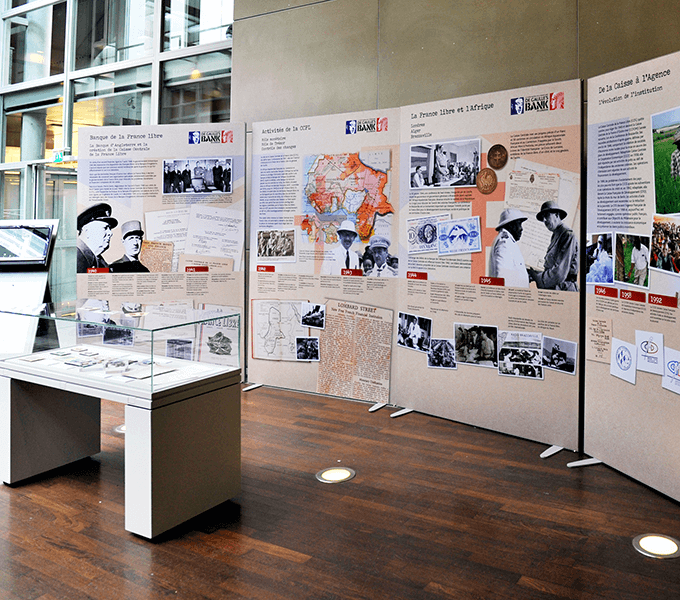 This was then stripped down for the Paris exhibition at AFD’s HQ which used some of the display and film material and was translated into French. 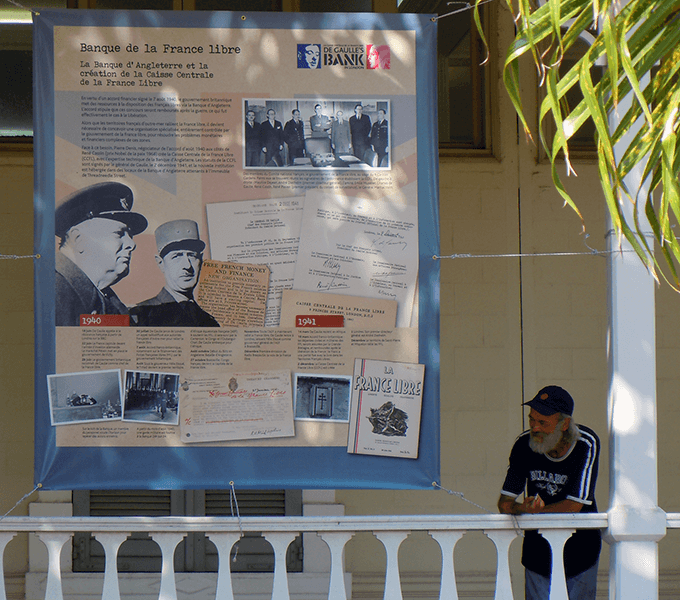 A graphic only version was sent around branches in the territories, including New Caledonia, during the anniversary year. 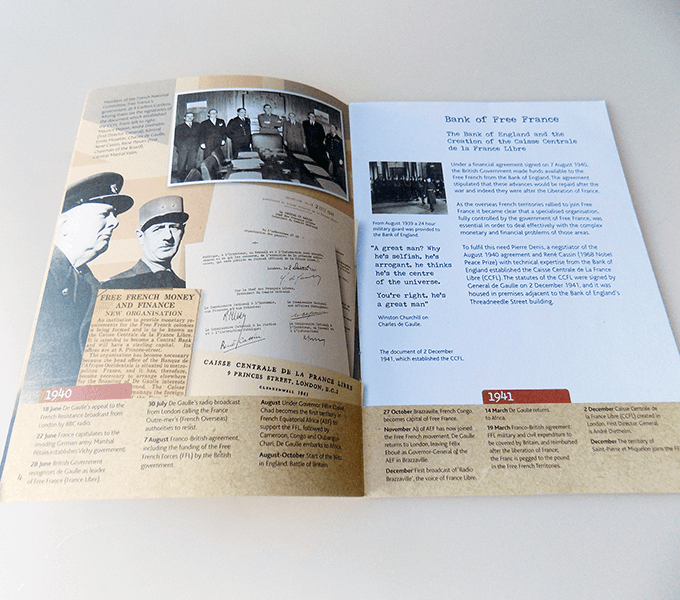 We also designed and produced an A5 exhibition booklet in French and English language versions.